-and perhaps it’s he who coined the word drokk? Dare utters the word 'drokk' many times in his frist series. Selfish, money-grabbing, lazy heroes. Setting up challenges in his plots that the heroes solve through a combination of quick wits, bluffing and good old fashioned luck. Pat Mills, godfather and mastermind of 2000AD, has always been quick to apportion credit to Kelvin Gosnell for coming up with the idea of doing a Sci-Fi action comic for boys. Specifically, it appears he spotted in advance that Star Wars was going to be massive, and that people were going to want more of that sort of thing. 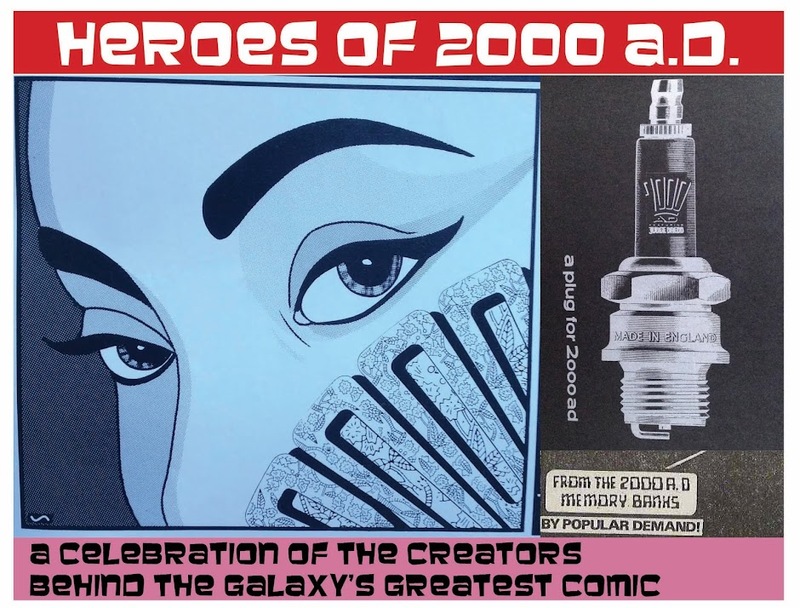 Executives were persuaded, Mills was cajoled into bringing the comic to actual life, and thus AD2000 was born. Art by ? Designer Doug Church, maybe? Perhaps as a reward for all this, Mills got Gosnell on board as the scripter for the first run of the new adventures of Dan Dare, the most Star Wars-like of the first wave of strips in the comic. 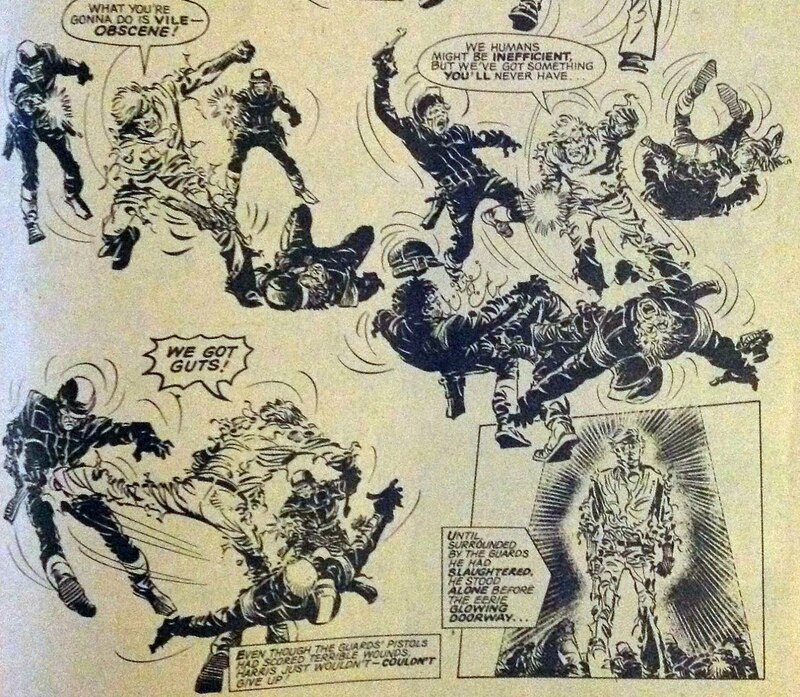 And Gosnell then took over from Mills as the editor on the comic for the bulk of its first year, covering Progs 17-85. He only stopped because he had ambitions to copy and improve upon the 20000 AD model by setting up and then editing all 22 issues of StarLord – the comic that birthed Strontium Dog and Ro-Busters. 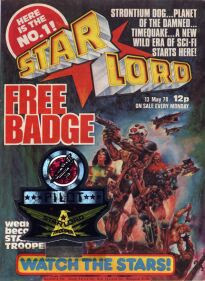 Was the run of 22 issues of StarLord better than Progs 64-85? So unquestionably, Gosnell was a key player in the foundation and early success of our favourite comic. I struggle to speak to his editorial style, but I guess he’d have been involved in decisions such as trying out a new style for Dan Dare, and choosing when / how to finish off Invasion, and MACH One, making room for the likes of RoboHunter. He also deserves a measure of credit for helping out the early comics career of Alan Grant, who started off as Gosnell’s sub-editor, then worked with him to carry Blackhawk over from Tornado (where he was a straight-up historical action hero) to 2000AD, where he became a way-out space gladiator. The way Grant ells, his, Gosnell gave him both practical advice and perhaps even confidence to turn his hand to writing a comic script. See also Judge Dredd: Aggro Dome, co-written by the pair, and a hugely rare non-Wagner Dredd story that you absolutely can’t tell isn’t by John Wagner, it fits the series so well. Was the script for this born during the tempestuos time sof the IPC strike? From that point on, Gosnell’s credits move exclusively to the script droid box. 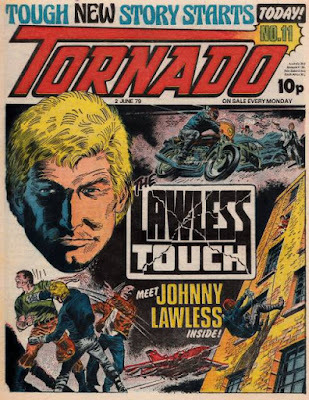 He never quite hit it off with a whole new series, aside from his masterful adaptations of three Stainless Steel Rat novels, but his many one-offs were always delightful, and the tone he uses suggests that it was as much his worldview as anyone else’s that informed the nascent 2000 AD. Let’s look into that a bit more, shall we? 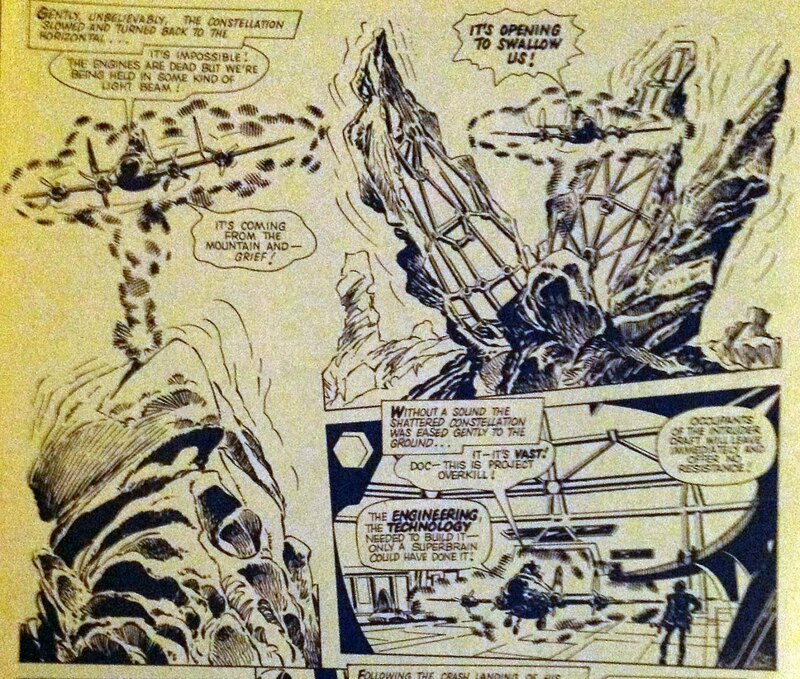 I suggested that the first Dan Dare run is the most Star Wars-y thing to appear in 2000AD. * But this is only inasmuch as it features spaceships, space pirates and space battles with alien weirdoes. Overall, Dan Dare isn’t remotely like Star Wars in tone. What it is is a showcase for Gosnell’s fondness for sneering, no-nonsense gruff action heroics, coupled with alarmingly over the top escapades that often involve harsh moral choices. Dare, the good guy, is a sweary, anti-authoritarian dude right from the start. Very specifically, this is the signal to us readers that we’re going to be on his side. He does things his way, doesn’t worry overmuch about the consequences, and he definitely won’t take a telling. 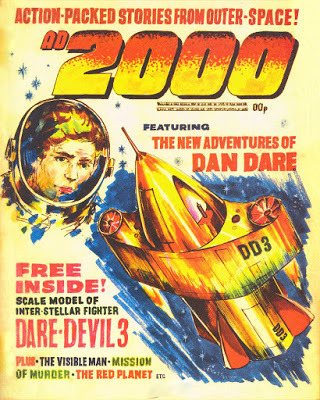 Pat Mills concocted and wrote the opening episodes of most of the very early series in 2000AD, including Dan Dare, but Gosnell will have helped him out. He clearly has an affinity for this kind of ‘stick it to the man’ character that Mills was so keen to be the template hero for the comic, so I can’t help but imagine he and Mills had a fair amount of constructive back and forth on this sort of thing. Gosnell was also called upon to write several of the middle episodes of Flesh book 1. 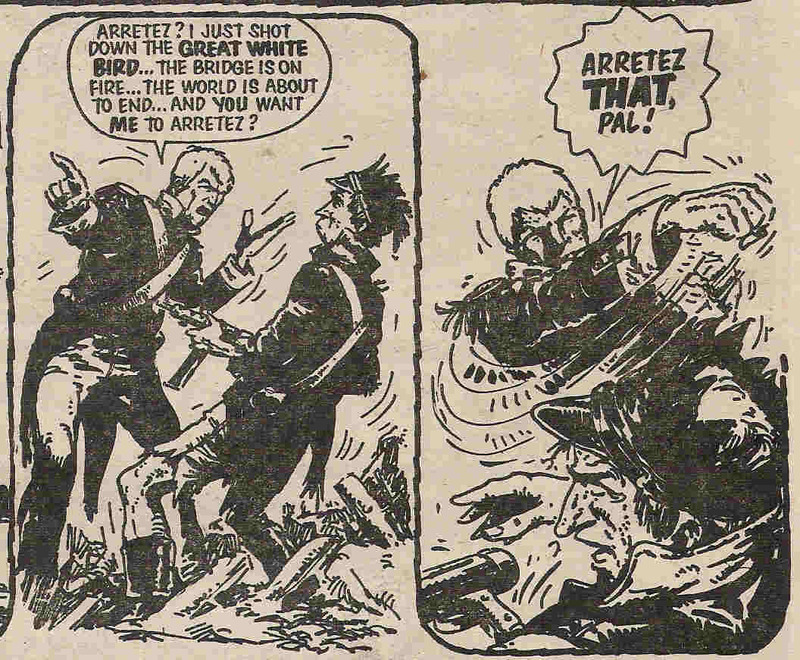 Again, the tone of this strip is to root for the ‘heroes’ who are actively ignoring the orders of their superiors. This time it’s a bit more obvious that there are morally sound reasons for doing so, but it’s the laconic ‘I’m right and you’re wrong’ attitude that informs the likes of Earl Regan. I also imagine that what Gosnell was really into were the episodes that focus on dino-based carnage, complete with the screams of dying children brats. Choose your way to die - giant spiders of hungry Tyrannosaurs. And kudos to Gosnell for being aware of fur-covered theropods as a real thing. He was also one of a handful of writers to have a go at scripting some very early Judge Dredd episodes, back when that series was still trying to find its feet before John Wagner took over. He had a pretty great handle on the basics of coming up with inventive future crimes, coupled with the dirtbags who commit such crimes. The Gosnell character archetype is the lithe but dependable man’s man who knows how to do stuff for himself, doesn’t waste time on emotions – unless it’s anger or greed – and is pretty handy with his fists. Yup, it’s 70s action heroes all the way. Earl Reagan is a man's man. And so we get Captain Kenny Harris, pilot extraordinaire and eventual hero who busts the evils of Project: Overkill wide open. It’s not the most fondly remembered of stories, perhaps, but I think it’s one of the better one-off long stories to have run. Indeed, I wonder if it was Gosnell as editor who first approved the idea of running 7-12 episode long stories that were never meant to be part of a new, endless strip. Always something of a risk if you end up with a 12-week run of a weak story (*cough*Colony Earth! ; Dry Run; Trash etc), but more often than not these have been a dependable source of exciting new and original stories for 2000AD. Project: Overkill is a mountain? Any, back to Kenny Harris. Ostensibly an upright chap, he’s mostly motivated by a sense of annoyance that he can’t remember what happened, and that his name as a good pilot has been maligned. Yes, he wants to be sure that his passengers are all safe, but you can sort of tell that it’s more personal than that. Kenny Harris wants answers, goddamit! Gosnell's heros also have a strong sense of right and wrong. It turns out that there’s a popular character from the world of pulp SF novels who fits Gosnell to a tee – slippery Jim DiGriz, the Stainless Steel Rat. DiGriz is a thief, but an enormously honourable one, who goes to great lengths to only steal from peopple who can afford it, or who, arguably, deserve a comeuppance or two. In the first story, he's coerced into becomeing an agent for the equivalent of an interplanetary FBI, and spends the rest of his adventures carrying out clever missions to take down scumbags (starting with psycho-killer Angelina, who becomes his wife). DiGriz is all about quick wits, sharp tongues, and being handy in a fight. Harrison's original prose isn't too far from this terse style, actually. 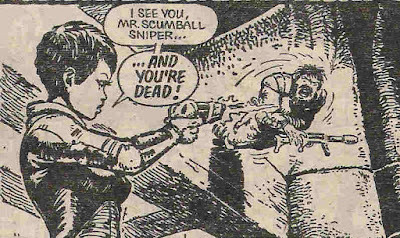 Angelina DiGriz - 2000AD's deadliest female? Gosnell must have put a fair bit of effort into securing the rights from author Harry Harrison to adapt his series for comics. He certainly put a lot of effort into writing the scripts – the three books Gosnell adapted are amongst the very best novel-to-comics works I’ve ever read. Vast swathes of credit to series artist Carlos Ezquerra, of course, and indeed to Harrison, who knows his way around an exciting, page-turning adventure that lends itself to the pacing needs of a comic. But yes, if there’s one thing I’ll value from Gosnell above anything else, it’s the Stainless Steel Rat series. So glad Rebellion managed to put out a collected volume! So sad to think that there are another 8 or so books that could, in theory, get the same treatment from Gosnell/Ezquerra, but presumably at this point never will. 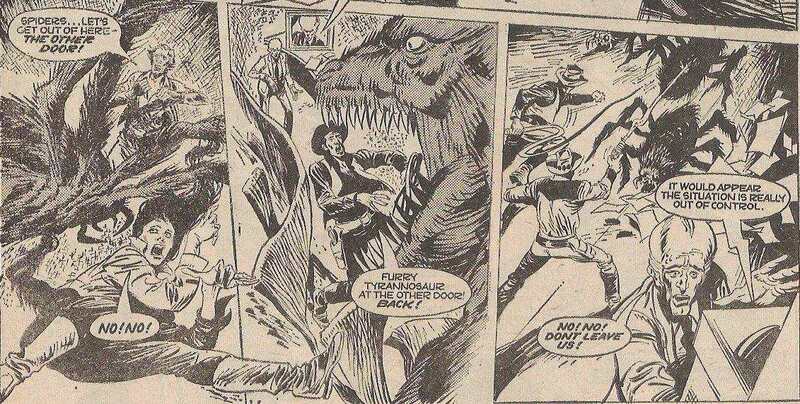 This leaves us with Gosnell’s other major contribution, Tharg’s Future Shocks! 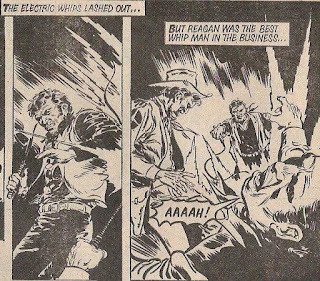 History may or may not record if any one person had the brainwave to insert these single-episode twisty tales into the staple line-up of 2000AD stories, but since Gosnell was editor when they first went in, he’ll get some of that credit. Writer Steve Moore likely deserves the biggest cheer for showing everyone else how its done – although, frankly, the vast majority of the early Future Shocks were not so great. Gosnell himself wrote plenty, including I think the very first ‘man trapped in a virtual reality prison’ story. You know, the story that Tharg specifically tells all submissions pile hopeful NOT to use! 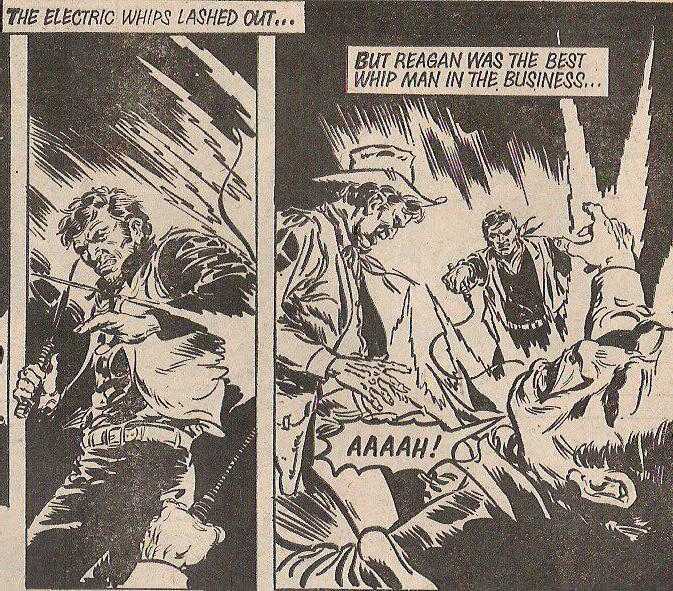 I’m being unkind, because Gosnell wrote some pretty great one-off tales, too, not least a series of short stories featuring Joe Black, perhaps the first Future Shock protagonist to (almost) earn himself his own series. A classic Gosnell rogue, Black has to use a combination of wits, luck and basic mechanics skills to get what he wants out of life – peace, quiet and the promise of enough cash to buy a beer. *Later, post-Gosnell Dan Dare was more similar to Star Trek. And in the decades since, other strips such as, hell, Junker or even Ace Trucking Co were a bit more Star Wars-y, for the smuggling side of things, and I guess Insurrection for the ‘rebels vs evil Empire’ type stuff.